lots to do, lots to finish, but nope: today I just managed some doodles. Meet the new talisman/talisvrouw chains! …my very own webshop! 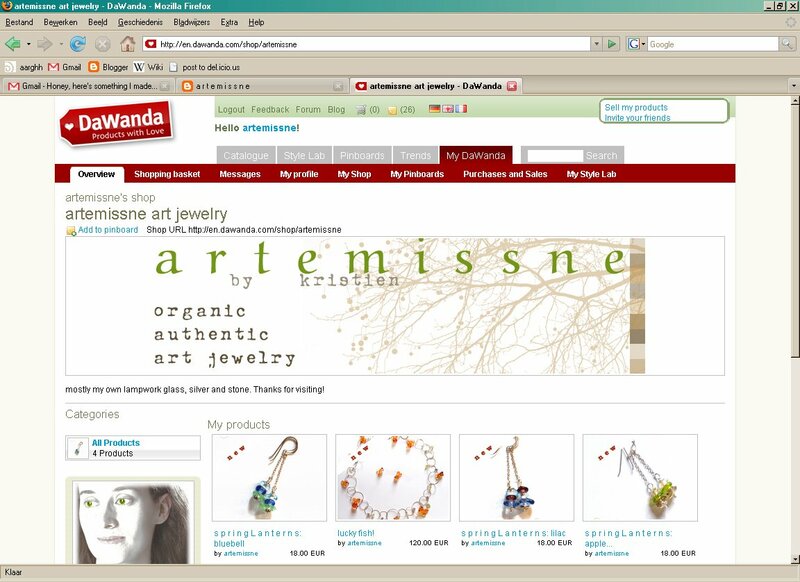 Its URL is http://artemissne.dawanda.com [CLOSED since jan 2010, check www.aarghh.be!!]. I’ve been preparing it for a while now, since organizing isn’t my best point… and finally uploaded the first items yesterday! That felt good, I felt really accomplished. LOL. For now I’m hosting just a handful of goods, but I plan to add more the next days, as I design and make them. I try to go for a nice range of jewels and prices so it appeals to most of you. One thing I hope to add soon are some “necklaces with a cause”, like the t(h)ree sisters where I donate part of the profit to a good cause. Well, trees and kitties for starters! The site that hosts the webshop, Dawanda, can be described as some sort of “Ebay for artists” -without the bidding though; you’ll only find handmade goods there. Go have a look, stroll through its catalogue to see what they can offer, or play with coloranda to find items in a certain color… but be warned, this can be quite addictive!